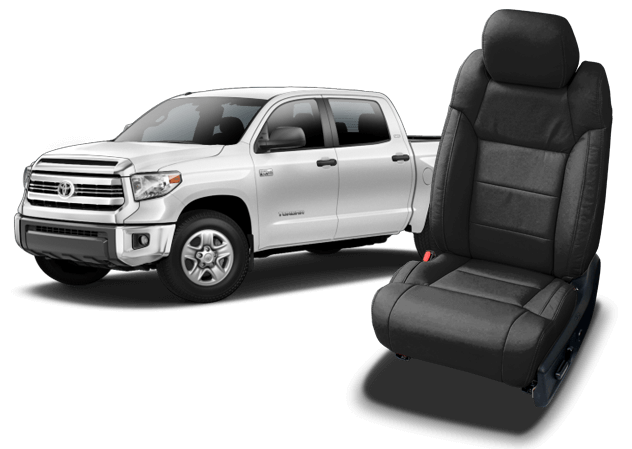 Toyota Tundra CrewMax Cab Katzkin leather replacement upholstery kits are the softest and most durable in the industry. The experts at AutoSeatSkins have been premier dealers with over 30 years experience in sales and installations of Katzkin Leather Seats. Let us help you put together the perfect leather interior from Katzkin's selection of over 80 colors and styles, from factory style single tone leather seats to custom two tone kits with Suedezkin or Barracuda inserts. Whether you want to upgrade your cloth upholstery, replace worn factory leather, or personalize a one of a kind leather interior kit, give your Toyota a custom interior from mild to wild.